Making plans for New Year's Eve as a parent is definitely different than it was before kiddos. For us it's all about staying in and having fun at home. The last few years we've created some of our own traditions around celebrating New Year's Eve as a family, but this year I was looking to add to our traditions. 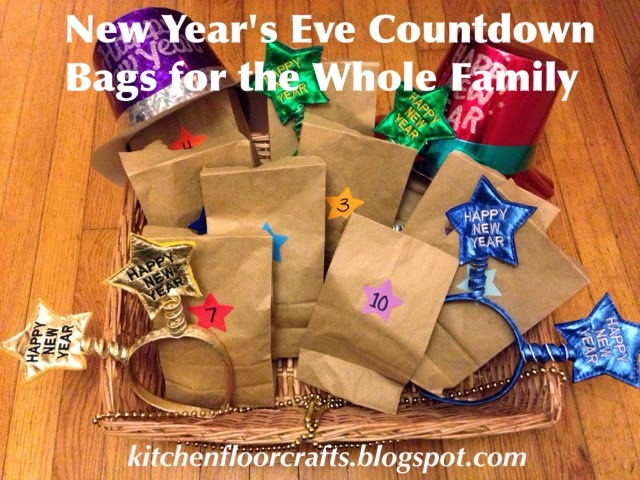 A quick Pinterest search for family themed New Year's Eve ideas came up with different variations of "Countdown Bags." Many of the ideas seemed good for bigger kiddos; I've tried to make this set more approachable to younger kids so the whole family can get involved. 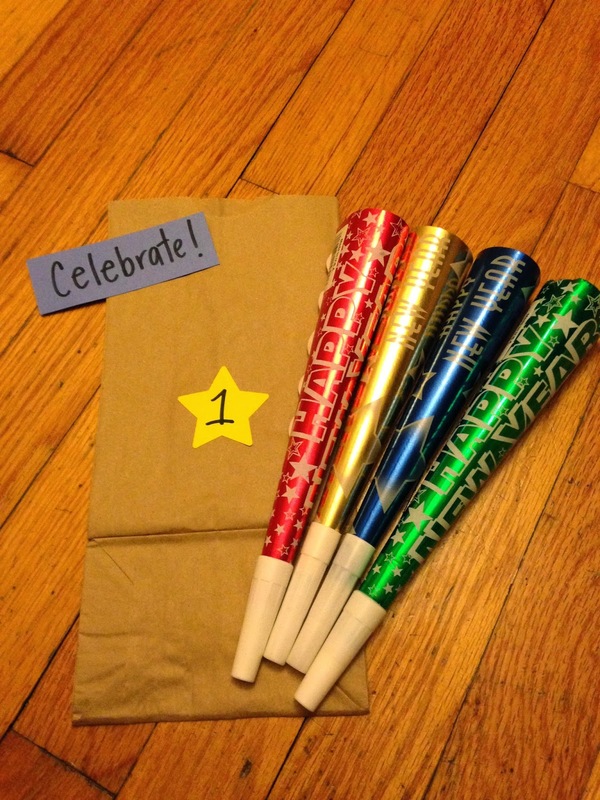 As a primary teacher, I love the idea of putting a clock on each bag so kids need to read the time, but I know our younger kids are not going to make it to midnight. I decided to label our bags from 10 to 1. This way we can do the bags as quickly as we need to, and hopefully, we can end our family celebration not too far away from their regular bedtimes. 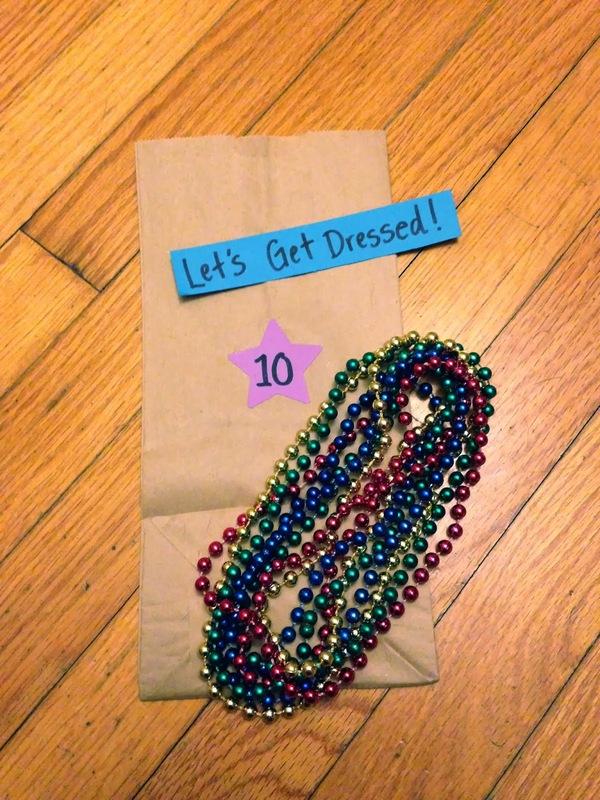 Over the years I've added some fun hats and necklaces to our New Year's box, so Bag 10 contains some necklaces and a note which encourages to get dressed in our festive wear. Several years ago my husband and I started the tradition of only having appetizers for dinner on New Year's Eve, and we've continued that tradition with Big Brother too. 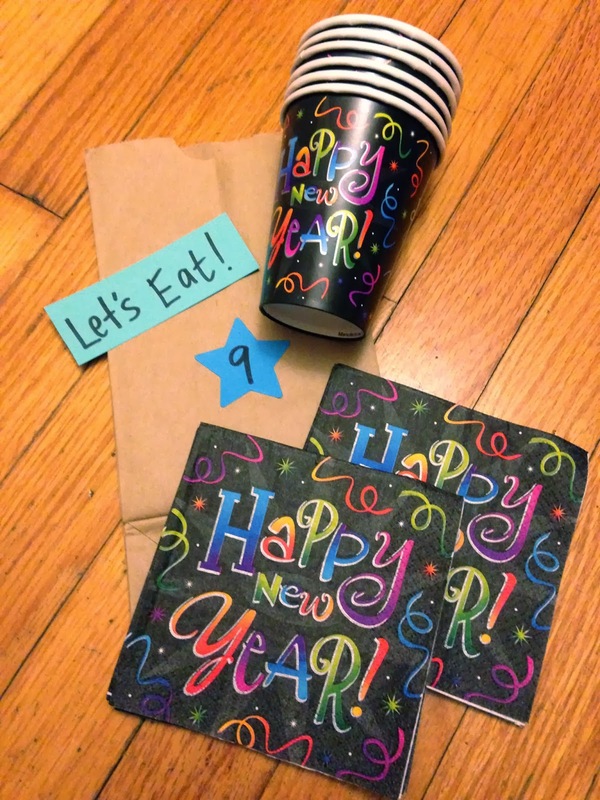 Bag 9 contains special napkins and cups for our meal. 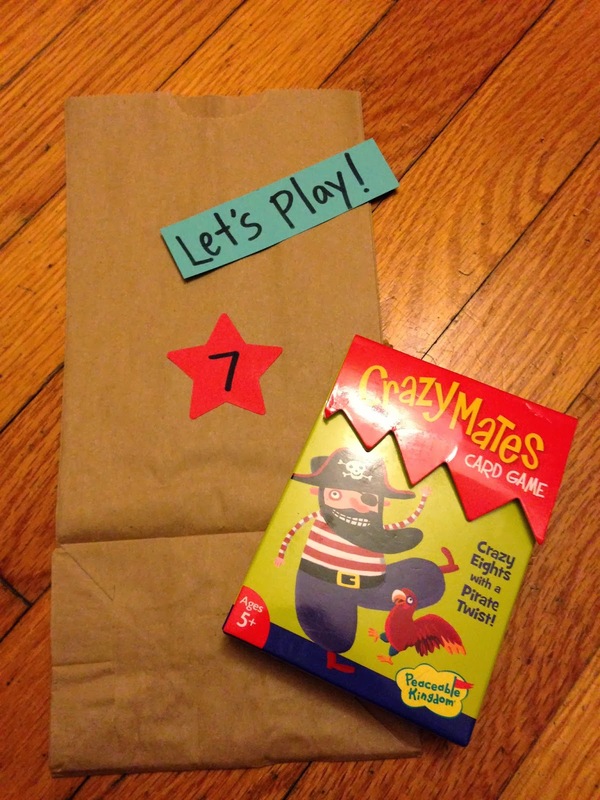 We love to play games, and we're really enjoying this new card game we got for Christmas, so this set went into Bag 7. Another one of our New Year's Eve traditions as a family involves watching a movie. This year we're planning on renting something we haven't watched before on Amazon. 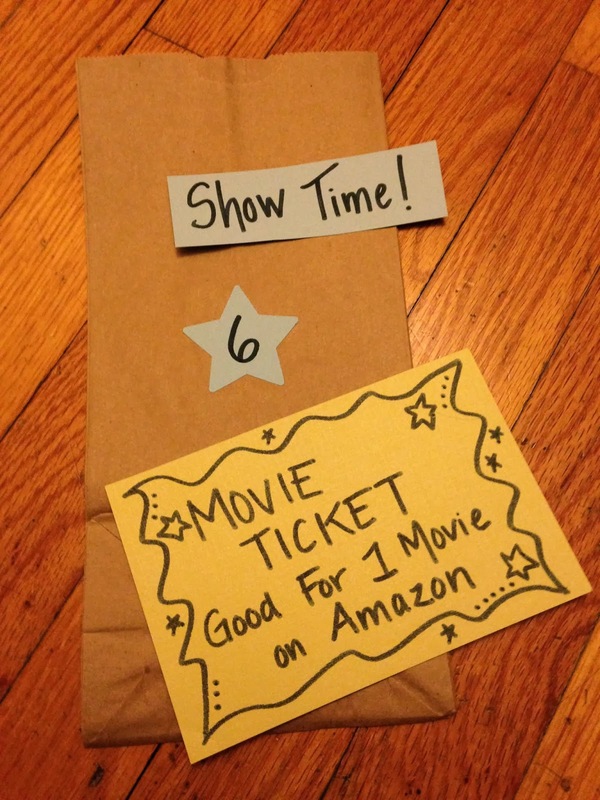 To make it fun with the countdown bags, I created a "ticket." 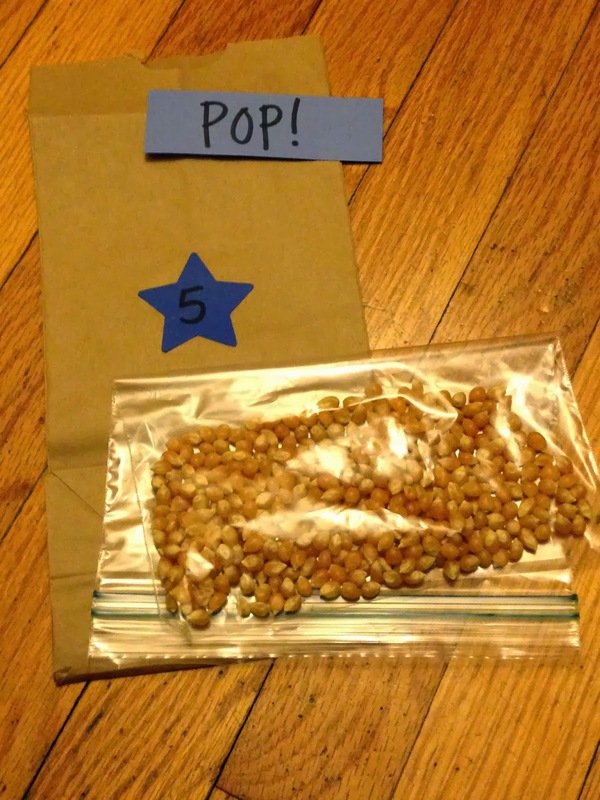 Of course, every movie needs popcorn! 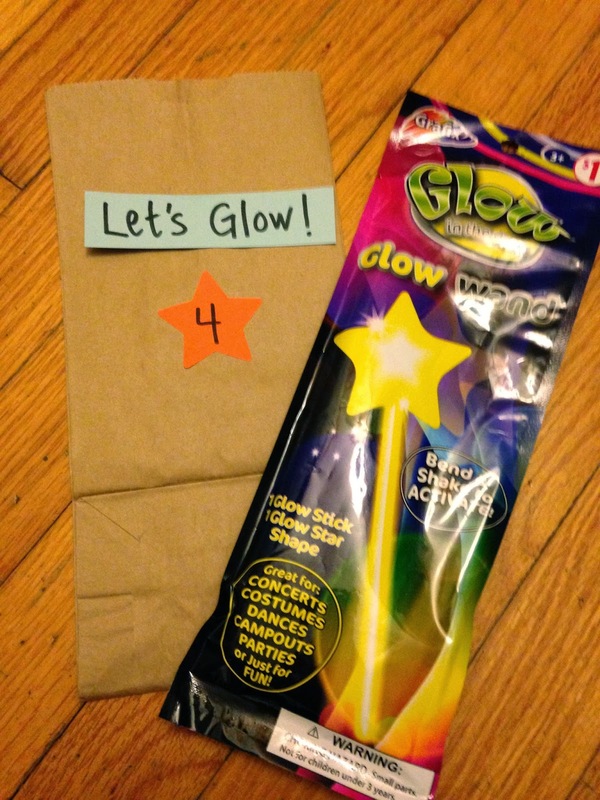 We always love glow sticks, but how neat are these glow stick wands I found at the dollar store? Even though we've had a lot of sweet treats lately, every New Year's Eve party needs a special drink. 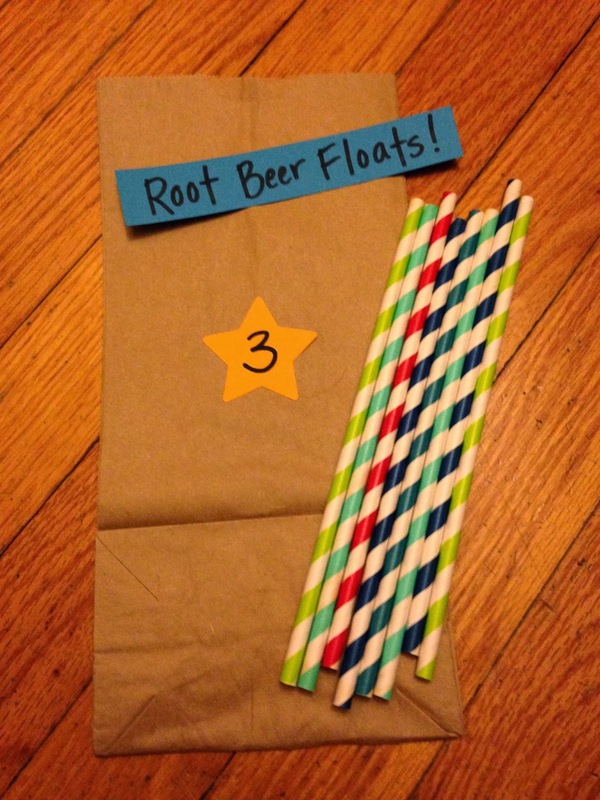 We'll be drinking root beer floats with these fun straws I've been saving from a Target trip this summer. We'll be getting close to the end, and therefore need a little confetti and streamers! 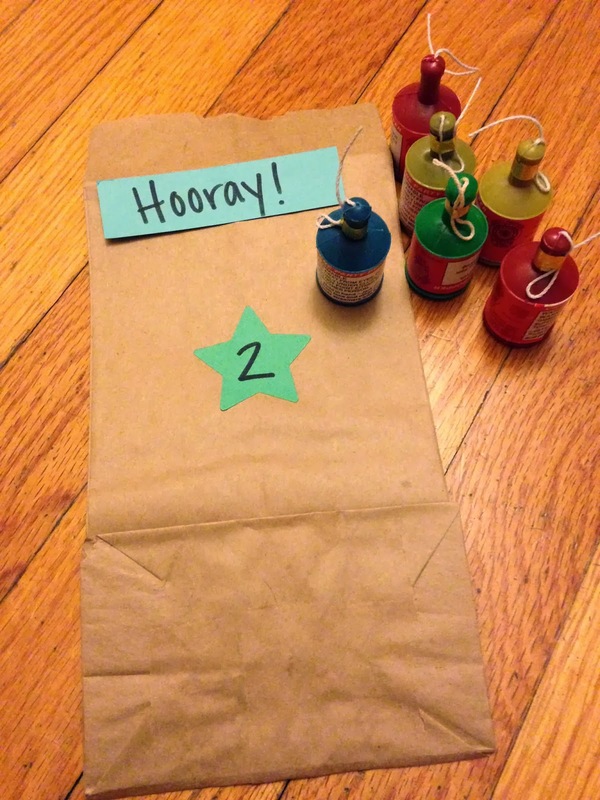 And no New Year's Eve celebration is complete without noise, so of course we'll end our night with some noise makers! 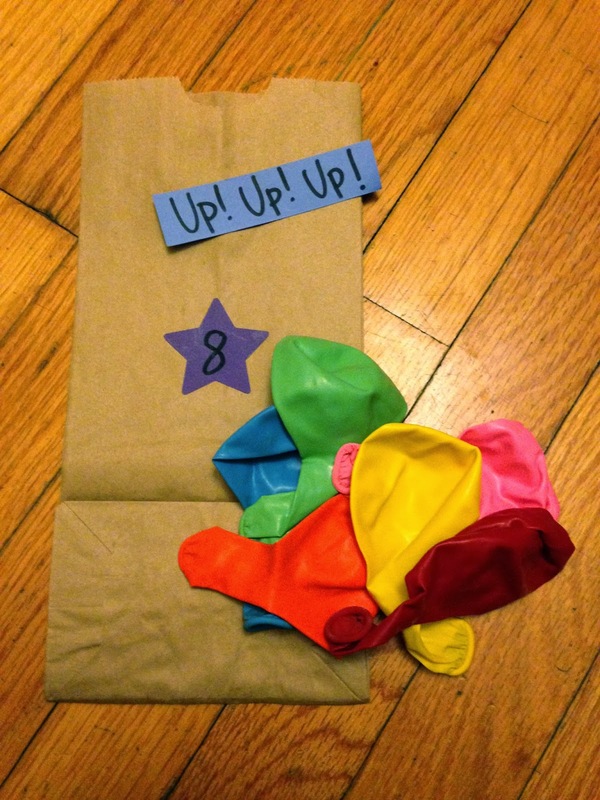 I'm really excited to see how these fun bags go over with the kiddos tomorrow. What are some traditions you have for celebrating New Year's Eve?